Give your clients an added layer of comfort with our cushy Fleece Table Cover or Fleece Face Pillow Cover. 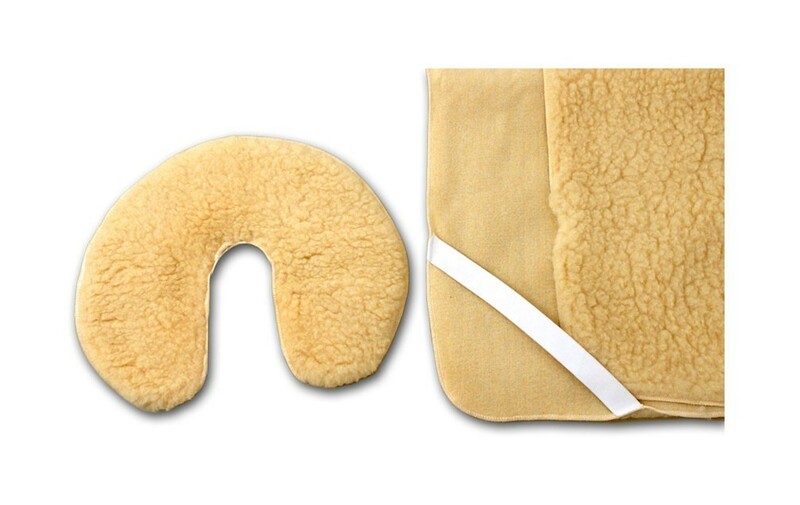 They protect the surface of your massage table or face pillow while retaining temperature, staying warm in the winter and cool in the summer! Super snuggly, durable and machine washable. Table Cover Dimensions: 73"L x 30"W.
Let your clients luxuriate and relax into the indulgent softness of our Fleece Table and Pillow Covers. Made of high density, low pile hypoallergenic fleece, they retain temperature and offer extra padded comfort at an unbeatable price. 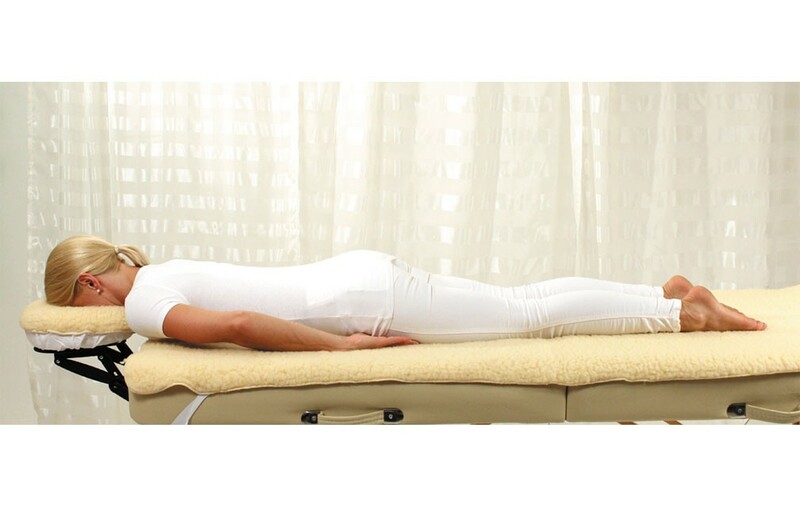 Protect your table and face pillow from oil and residue while providing a heavenly place for your clients to receive treatments with our Fleece Table and Pillow Covers. Machine washable. 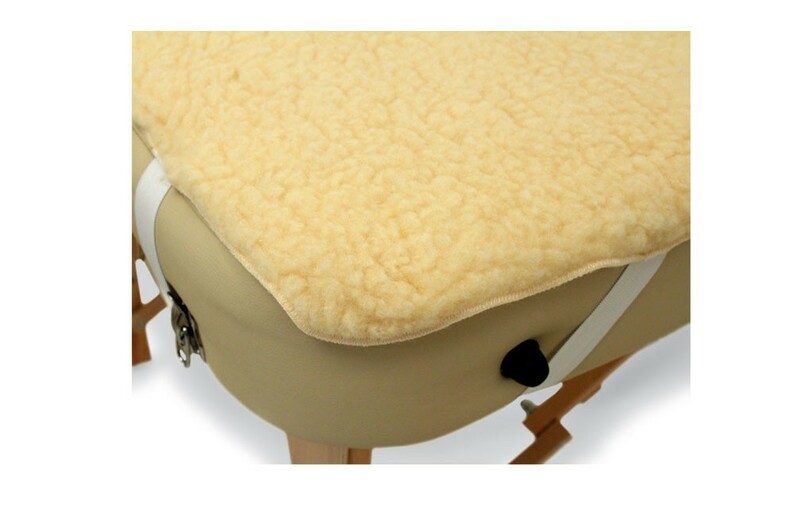 The Table Cover has elastic straps that fit securely over the corners of your massage table. 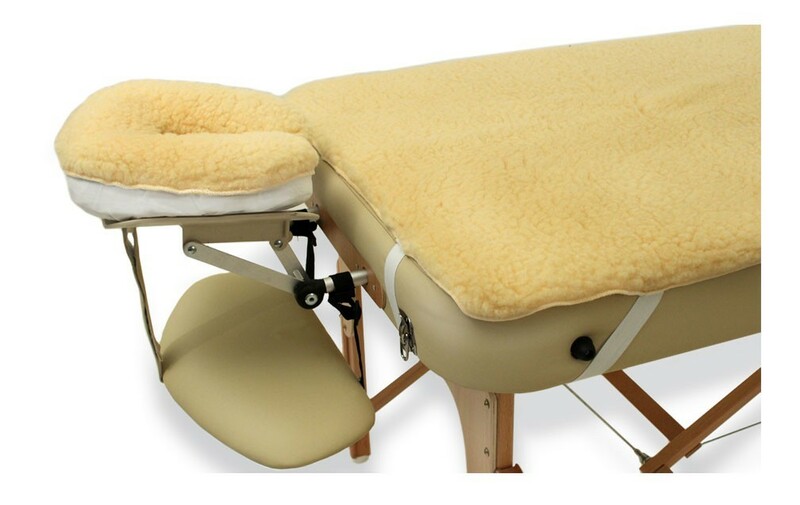 Due to generous dimensions, the Table Cover easily fits most standard portable and stationary massage tables. The hypoallergenic, high density, low pile fleece provides a soft, comfortable place for your clients to snuggle up to while protecting your table from oil and residue. The table cover’s four strong elastic straps hold it securely in place. The generous sizing of the table fits most standard massage tables. The Pillow Cover slips effortlessly over our standard and ergonomic face pillows (as well as most crescent-shaped face pillows) and is held in place by strong elastic edging. The hypoallergenic, high density, low pile fleece provides a soft, comfortable place for your clients to snuggle up to while protecting your face pillow from oil and residue. The pillow cover’s durable elastic edging holds it securely in place. The generous pillow cover fits most standard and ergonomic face pillows. Important Note: All computers, monitors, and internet browsers are calibrated to display colors differently. Based on your individual settings, the color samples displayed on this page may vary greatly and, therefore, should be used as guidelines only. In addition, some color options may not be currently available. Should you have any questions, please contact our customer service professionals. Natural materials are vulnerable to shrinkage. To avoid, please launder and dry on the most cool and gentle settings. For buyers purchasing cases, we recommend initially washing one sheet (as opposed to the entire case) to test compatibility with your washer and dryer. The 90-day Warranty covering defects does not cover shrinkage. The 30-day Guarantee only applies to unwashed and unused sheets, sheet sets, and covers. 90-Day warranty covering defects (does not cover shrinkage).